Swann Memorial Fountain, often referred to as the Logan Square Fountain, is right off the Vine Street Expressway, the Ben Franklin Parkway, and Race Street. Fountains are on in the warmer months and there is always a crowd of Philadelphians enjoying the nice weather. 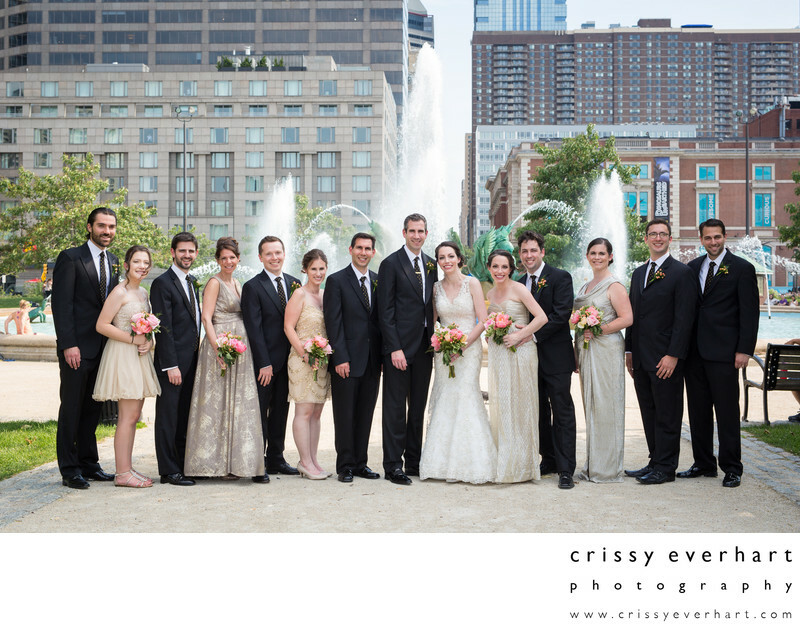 Here a wedding party poses on the gravel walkway in Logan Square, with some of the Philly buildings in the background. Location: 1901 Vine St, Philadelphia, PA 19103.